I have just been really loving earthy tones lately and I find that these really lipsticks really suit my brown skin. 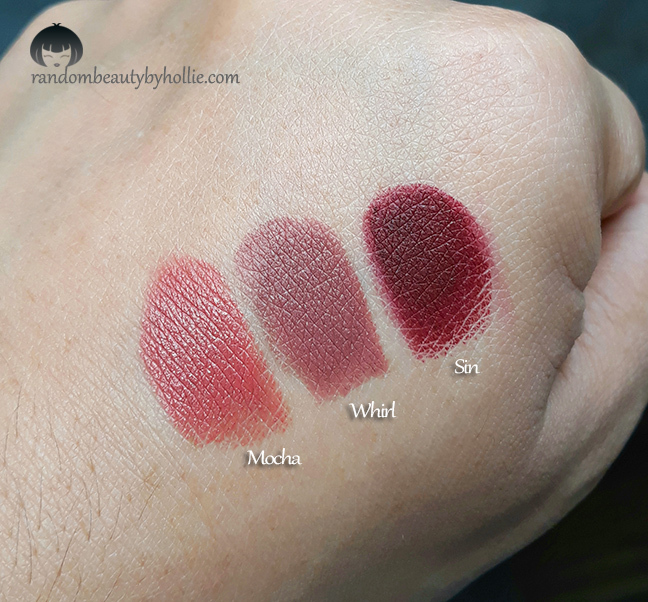 These three all have brown undertones to them, thus I decided to swatch them together. 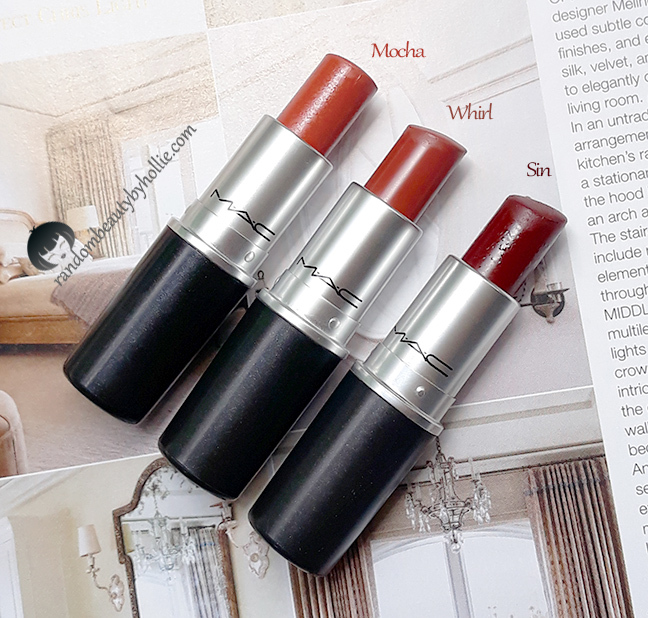 The Mac Lipstick in Mocha, has a Satin finish. It is described as a Peachy Brown shade. It has a creamy texture with a soft cushiony feel to it. This has been my new go-to everyday lipstick ever since I finished my Mac Lipstick in Cosmo a few months back. You can read my full review HERE. The Mac Lipstick in Whirl has a Matte finish. It is described as a Dirty Rose shade which can be worn any time of the day in my opinion. I think this shade will look great on a white variety of skin tones. 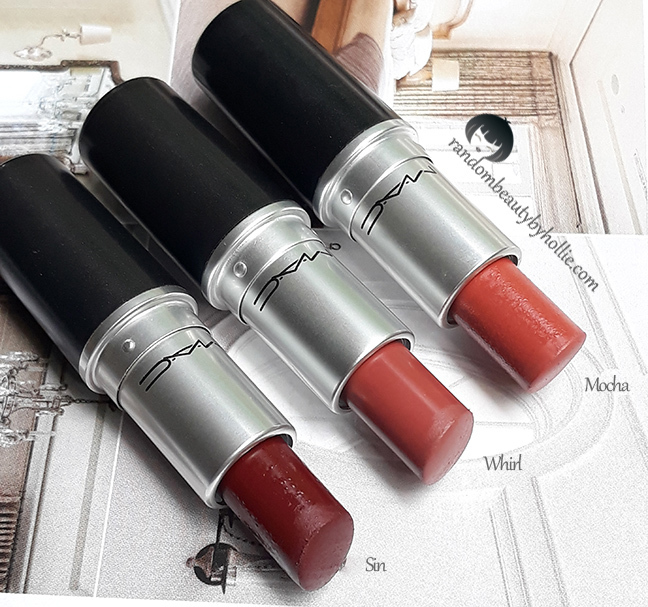 I have already featured this lipstick before in my One Brand Makeup using Mac, see HERE. 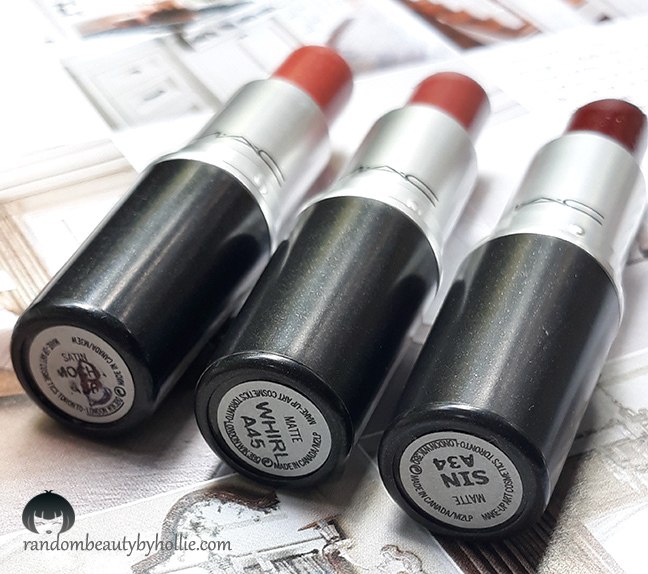 The Mac Lipstick in Sin comes with a Matte Finish. It is described as a Deep Dark Blue Red. This is by far my favorite dark lipstick to date. I've received endless compliments with this shade every time I wear it and they often ask what shade I'm wearing. I feel like the Mac Sin Lipstick is so underrated.